Nehemiah 8: 14-17 14 And they found written in the Law, which the Lord had commanded by Moses, that the children of Israel should dwell in booths during the feast of the seventh month, 15 and that they should announce and proclaim in all their cities and in Jerusalem, saying, “Go out to the mountain, and bring olive branches, branches of oil trees, myrtle branches, palm branches, and branches of leafy trees, to make booths, as it is written.” 16 Then the people went out and brought them and made themselves booths, each one on the roof of his house, or in their courtyards or the courts of the house of God, and in the open square of the Water Gate and in the open square of the Gate of Ephraim. 17 So the whole assembly of those who had returned from the captivity made booths and sat under the booths; for since the days of Joshua the son of Nun until that day the children of Israel had not done so. And there was very great gladness. Overall Background: The Jewish people under the leadership of Nehemiah had achieved the impossible. In only 52 days, they had rebuilt the wall around Jerusalem but it was not easy. They had to overcome incredible odds; they had to stare down terrible oppositions; and they had to deal with internal conflicts. Nevertheless, they finished the work by the sixth month of Elul and went back to their homes. Can you imagine how tired they were physically? So they went home but not for long. They had just enough time to get things in order because the very next month—the seventh month of Tishri—they came right back to Jerusalem for the Feast of the Trumpets and the Day of Atonement. The Feast of the Trumpets (Rosh Hashanah) is the New Year’s Day, the first day of the seventh month. Nehemiah 8:1 tells us that on this day “all the people gathered together as one man in the open square that was in front of the Water Gate; and they told Ezra the scribe to bring the Book of the Law of Moses, which the Lord had commanded Israel.” Ezra read the Bible from morning until midday, which is about 5-6 hours. The people were so hungry for the Word of God that nobody grumbled, nobody complained; they all listened with rapt attention and cried out “Amen, Amen!” lifted up their hands, bowed their heads, and worshiped the Lord with their faces to the ground. Can you imagine how tired they were physically and mentally? Not only that but as they listened to the Word, they were so moved by their sins and their failures that they began to weep. Nehemiah, Ezra, and the Levites had to console the people and remind them that the “joy of the Lord is their strength.” Overall, the people were exhausted physically, mentally, and emotionally? Application: Have you been there before? Because of work, family, and even ministry, you are worn out physically, mentally, and emotionally. You feel like you cannot go on another step. Until chapter 8 and verse 12, everything in the Book of Nehemiah has made sense but when we come to verse 13 it seems a little strange. What was so special about this festival of living in booths? This festival was a time of reflection on the faithfulness of God, the blessings of family and friends, and the promise of hope in the future. Nehemiah knew that the people had been going for a while. They had been under stress for a long time. They needed a break. They needed to step back and enjoy the blessings of life and family and salvation. They need to reflect on the blessings of the Lord. If they did not take the time to come apart, they will come apart in time. Application: What does a Jewish festival of living in booths made out of grass and leaves have to do with us today? Should we go home and pull out our tents and live in them? Not really. Listen carefully: In the Christian life and in the church, there is a time to work and then there is a time to celebrate. There is a time to work for the gospel of the Lord and then there is a time to meditate on the goodness of the Lord. As we walk through this passage, let the Holy Spirit teach you how to celebrate as a Christian. Three things we can learn from the festival of the booths. I. IT WAS A REMINDER OF GOD’S FAITHFULNESS IN THE PAST. During this feast the people would lie in simple tents made from leaves and branches. It was a reminder of their time in the wilderness when they lived in booths and made their way through the dangerous desert. God protected them from the constant threats from natural hazards, wild animals, and enemy tribes from every side and He brought them safely to the land that he had promised them. The festival was a constant reminder of God’s faithfulness in their lives. Their very existence was a testimony of God’s goodness to them. The reason God wanted them to celebrate this feast is because sometimes when we are tired and stressed out with life we start thinking it all depends on us. In the midst of new challenges and pressures it is easy to forget that our very existence is a testimony of God’s goodness to us. For e.g. I am one of the chaplains at the hospital. Sometime I can walk into a room and just feel the hopelessness. Other times I walk in and find myself in the presence of God. The other day I walked into the room where this elderly African-American lady was lying in bed. I introduced myself to her and told her I was the chaplain. Her eyes lit up and she said to me – “You know something – God has been good to me.” For the next 10 minutes she whispered to me all the wonderful things that the Lord had done for her. If we don’t take time to meditate on the goodness of God, we too will become bitter. 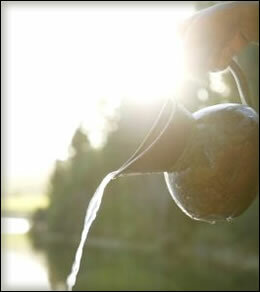 Application: Have you taken the time to meditate on the goodness of God in your life? The festival of the booths was – A Reminder of God’s Faithfulness in their Past. II. IT WAS AN APPRECIATION OF GOD’S BLESSINGS IN THE PRESENT. Background: Can you picture this sight? Fathers, sons, mothers, and daughters going on into the nearby mountain and bringing all these branches. Kind of like getting Christmas trees. This was meant to be a family feast. Listen to Deuteronomy 16:13-14 13 “You shall observe the Feast of Tabernacles seven days, when you have gathered from your threshing floor and from your winepress. 14 And you shall rejoice in your feast, you and your son and your daughter, your male servant and your female servant and the Levite, the stranger and the fatherless and the widow, who are within your gates. In the rebuilding the wall, re-inhabiting their ancestral homes, and coming back to the Word of God, these people had lost sight of their loved ones around them. God knew that this was dangerous. He had taken preemptive steps to make sure that people would never loose sight of the loved ones in their lives. The festival of booths was a bringing together of family and friends. It was like camping out together. For seven days the parents, the grandparents, and the children were side by side in this makeshift grass tent. For seven days friends and neighbors were enjoying this Sabbath and hiatus of God. For e.g. Every week Nicole and I have a date night or date lunch. This is our time together that we can regroup and reconnect so we don’t loose our marriage as we serve in ministry. Not only that but we also take time each week to connect with each of our children. For e.g. A famous evangelist had a very successful ministry but his own son was not saved. He said, “I have won the whole world but lost my own son.” God forbid that any of us would ever have to say that. Clearview is a church on a mission. Our mission is the lost souls all around us. Our Purpose is to save as many as we can before it is too late. Our job is to redeem the time that God has given us on this earth. Having said that it is not on the altar of our marriages and families. In fact, we do everything we can to encourage families to work together and serve together in ministry. Application: Have you taken the time to appreciate the loved ones that God has placed in your life – your wife, your children, your parents, your church family, and your friends. III. IT WAS A PORTRAIT OF GOD’S REDEMPTION TO COME. Background: What is interesting is that each family was supposed to have a booth of their own. Just like the night of the Passover, every home was supposed to have the blood applied to the doorposts. What else? 17 So the whole assembly of those who had returned from the captivity made booths and sat under the booths; for since the days of Joshua the son of Nun until that day the children of Israel had not done so. And there was very great gladness. Background: Again, what is interesting is that the children of Israel had celebrated the feast of the booths since the day of Joshua. It is mentioned in Judges 21:19; I Kings 8:2, 65; II Chronicles 8:12-13 and even Ezra 3:4. What was so special about this feast? Ezra 3:4 “They also kept the Feast of Tabernacles, as it is written, and offered the daily burnt offerings in the number required by ordinance for each day.” Meaning: Although they had celebrated the feast of the booths in the past, they had not offered the burnt offerings they were supposed to. What did this feast really mean? The feast of Sukkoth (Booths) comes from the Hebrew word “sukkah” which means “covering” or “shelter.” This feast was pointing to the Messiah to come – the True Sukkoth who is our refuge and shelter from the judgment to come. What is even more interesting is that on the last day of the feast—the seventh day—is known as Hoshana Rabba. 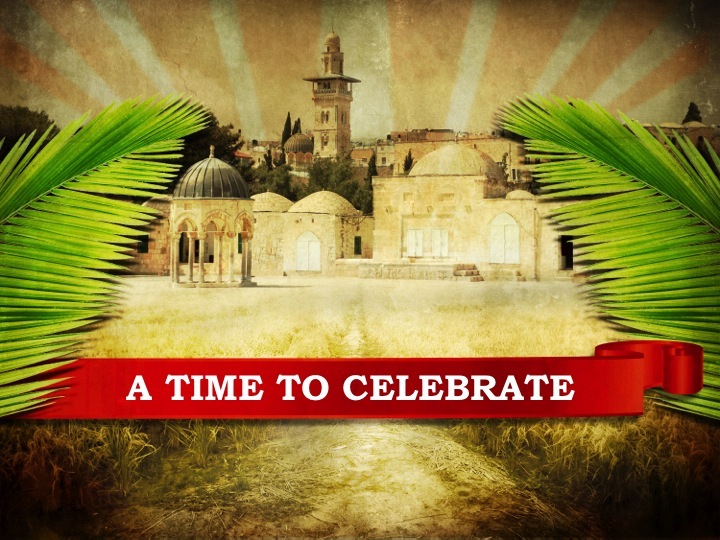 It means “Day of the Great Hosanna.” What does the word Hosanna mean? It means “save now.” On this day as the priests blew the trumpets and the Levites and the people waved the lulavs (palm branches), the high priest in the temple would pour out water taken from the pool of Siloam. It was the symbol of true life and satisfaction. Meaning: He was the true satisfaction and when we drink from Him the water of life we will never thirst again and out of our hearts will flow rivers of living water. How? Because of the Holy Spirit. That was the true meaning of the Feast – Is it any wonder that “there was very great gladness”? Application: Do you have a reason to celebrate? It is only through Jesus Christ.